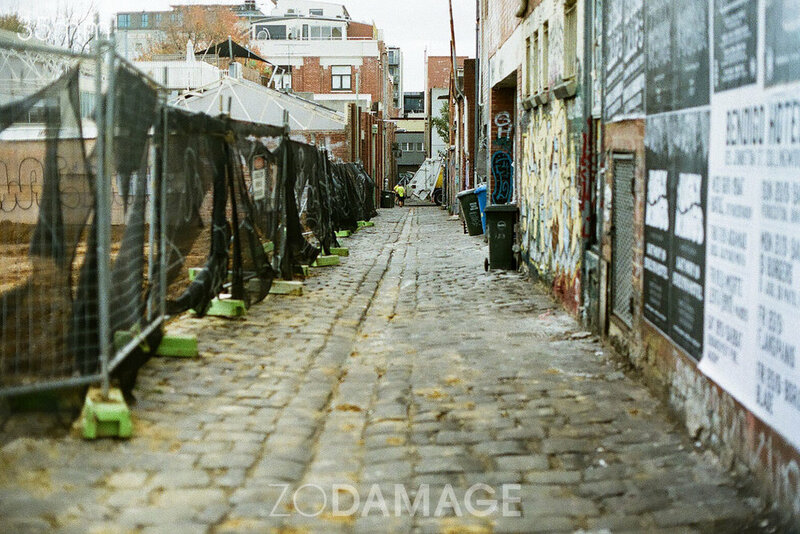 In recent years Zo Damage has rediscovered her love of 35mm film photography. In the Zo Damage 35mm film gallery you will find a small selection of photographs, each scanned from Zo’s original negatives. A range of very limited edition B&W silver gelatin darkroom prints, along with colour and B&W prints created from Zo’s original negatives using the highest quality archival pigments on Group C (archival) paper are available to buy at Zo Damage @ QVM. In-store, phone and email orders welcome. Zo Damage presents a powerful collection of photographs celebrating music fans and the energy between fans and artists with CLAN, as shown at the Zo Damage store in December 2018. A large family, or a group of people who share the same interest. A photography exhibition exploring the inspiration and influence of live music culture in our everyday lives. The Zo Damage SEED exhibition showed in April 2018 at The Market Building, Castlemaine. ROAR: A Decade Of Drums is the first of themed collection by to show at Zo Damage’s bricks and mortar store at QVM. ROAR features a selection of photographs of drummers spanning a decade. Curated to theme and featuring yet another previously unseen collection of images, REACH by Zo Damage explores the physical and emotional places music takes us in our day-to-day lives. The REACH exhibition showed in the beautiful country surrounds of the heritage listed Taradale post office, home to Shelf Life Gallery at Taradale Wine & Produce in September–October 2016. The Zo Damage DRIVE collection showed at Brisbane's Tym Guitars in celebration of Sonic Masala Records annual event Sonic Masala Fest in August 2016. DRIVE was Zo's first exhibition to be held outside of her home town in Melbourne. In July 2016 Zo Damage showcased her third solo exhibition with EVE: A celebration of women in music. As with Zo's previous exhibitions, Zo curated the collection to theme and featured yet another unique, previously unseen body of work. The Zo Damage EVE exhibition showed at Besser Space as part of Leaps And Bounds Music Festival. The Zo Damage GRIT collection showcases a diverse range of contemporary musicians and bands with a strong focus on live music culture and the underground live music scene. GRIT, Zo’s debut solo exhibition, showed at The Old Bar Gallery in May 2015. Prints from the Zo Damage GRIT collection are very limited in edition. 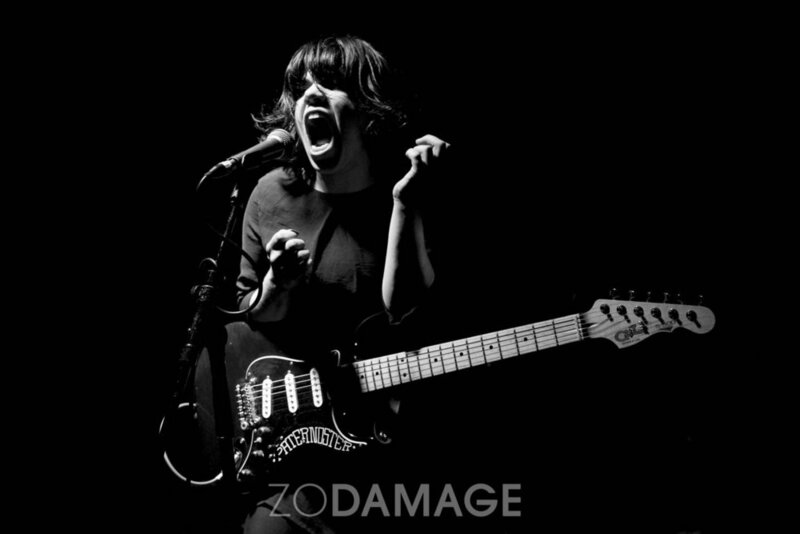 On 25 February 2016 Melbourne photographer Zo Damage committed to photographing a live band [or more] every single day for a full year. Zo successfully completed her unprecedented award-winning project on 24 February 2017. The Zo Damage 365 Day Project galleries are grouped into weeks [1–52]. Each entry citing artist, event/venue, date and project day number.